Anodising is a coating produced via an electrolytic conversion or passivation of the surface of the aluminium alloy. There are many types of anodising or anodisation as some academics may call it. The most common is Sulphuric Acid anodising, we provide this here at LBParkes. Sulphuric Acid Anodising can be specified to a number of thicknesses ranging from 5 microns to 25. It is harder than the aluminium itself and brittle. The anodised layer can be dyed depending on your alloy and the thickness of the film. Some Alloys give only ark shades. See our blog! Sulphuric Acid anodising is becoming popular as a pre-treatment for powder coating giving great corrosion resistance. Chromic Acid anodising is the first type to be commercially carried out in any great quantity. It produces a thinner film that is not so hard or brittle, can be ductile and possibly self healing. Chromic Acid or Chromium Tri-Oxide is very carcinogenic and hazardous to deal with, consequently we no longer offer this finish. As it was very heavily specified before Sulphuric Anodising was so widely accepted there are circumstances where Sulphuric Anodising may be a replacement, this is unlikely in some cases especially in the aviation sector. Phosphoric Acid anodising produces a thin coating used in the manufacture of capacitors or occasionally as a pre-treatment before further coatings. 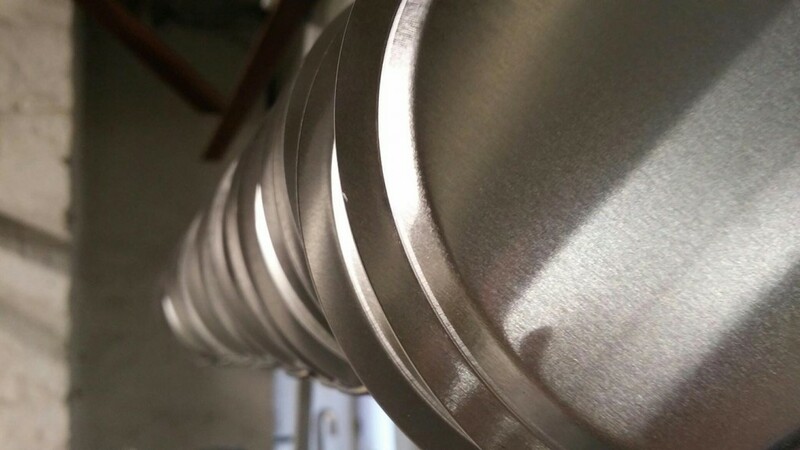 Boric-Sulphuric Acid Anodising is a type that can also replace Chromic Acid anodising in some aviation applications but we do not offer at this time. Hard anodising is a much thicker, over 25 microns, and harder coating produced in mostly sulphuric acid electrolytes. Though we have the technical knowledge and capability we do not currently offer this service.